In 2009 the British Blinds & Shutters Association (BBSA) launched its ‘Make it Safe’ campaign to help educate the window-blinds trade and general public over Child Safety Blinds and the safe use of internal window blinds. Working with Government departments the BBSA helped in development of the new EU regulations on Child Safety Requirements. At Shades we fully support the new regulations and all blinds sold or installed through us comply with the new regulations. The Standards for safe blinds are laid out in British Standard code BS-EN13120 and affect any device used for internal blinds or curtain tracks including vertical blinds, roller blinds, Roman blinds and plantation shutters. All new blinds or curtain tracks which are fitted by a professional must pass the Standard, which specifies safety requirements which help improve safety and prevent accidents, particularly amongst younger children and babies. This includes such matters as blinds which have cords or chains fitted which could create a hazard, for example where a cord loop could cause strangulation if a child were to become entangled in the cord. 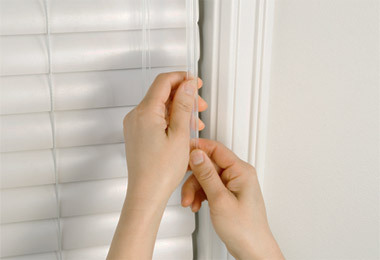 So, what is a safe blind and how do we ensure that blinds installed in your home comply with current EU regulations? In-built safety systems are those that are built into the blinds and do not require additional installation or operation in use. These include devices such as a chain break connector where the chain is designed to separate under any undue pressure. Breakaway tassels at the bottom of cords work in the same way. Separate safety systems are those that require additional installation or operation in use. 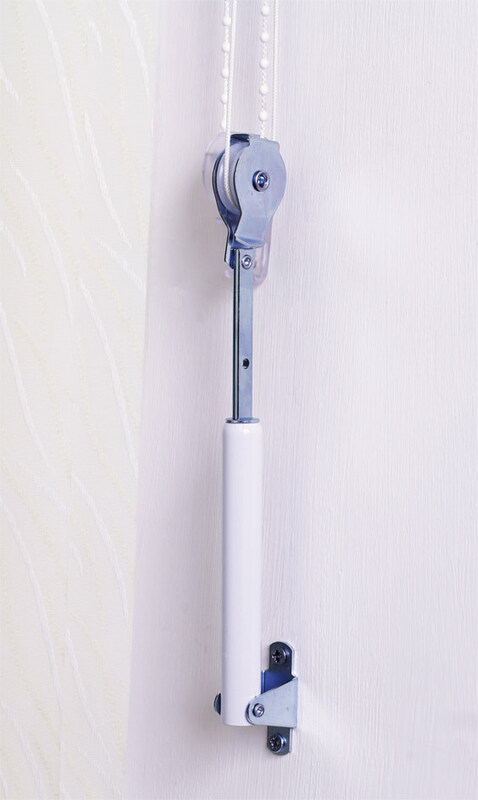 If cordless options or those with inbuilt safety devices are not suitable for your specific situation separate safety devices such as a tensioning system or an accumulation device like a cleat can be installed with your blinds. Advice endorsed by the Child Accident Prevention Trust. 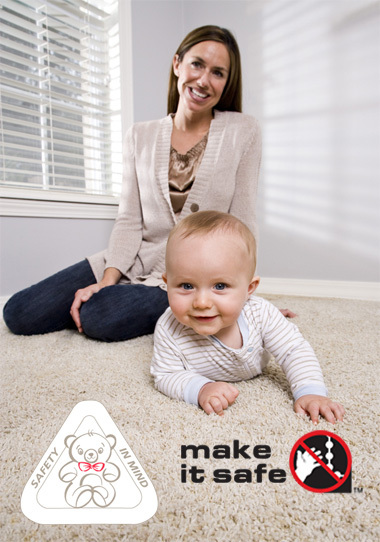 Research indicates that most preventable accidental deaths involving blind cords occur in the bedroom effecting children between 16 months and 36 months old. The ‘Make It Safe‘ campaign, supported by the BBSA, aims to highlight effective safety measures homeowners can take for homes and commercial buildings. You can find out more at the makeitsafe.org.uk website. We offer a range of blind / shutter safety options. 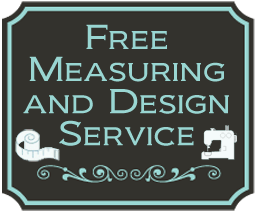 Please speak to us about options when contacting us to discuss your order.